Grimbeorn the Old was the son of Beorn. Like his father, he was able to take the shape of a bear. After his father’s death, he became the chieftain of the Beornings. He kept the High Pass and Ford of Carrock free of wolves and Orcs during his reign as chieftain, making it safe for travelers, though his tolls were high. 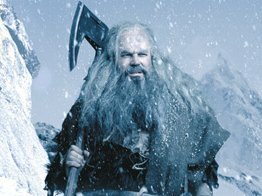 Where can one read about Grimbeorn?